The Panamax gearless bulker Wadi AlArab at pier 28 loading grain. 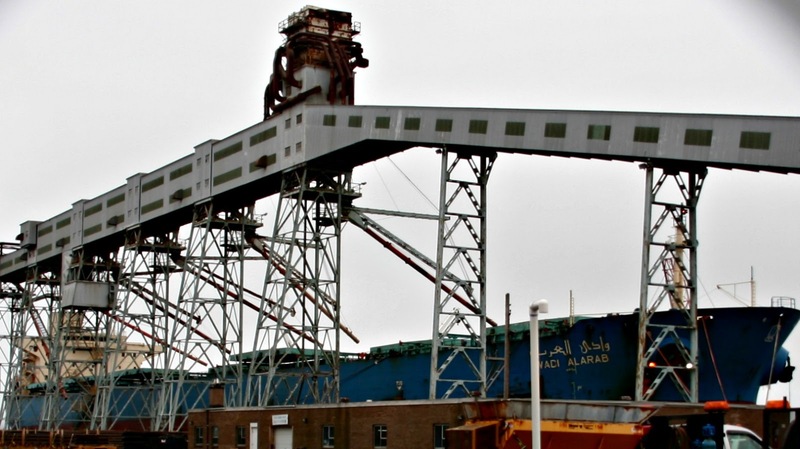 Since the demise of the Canadian Wheat Board monopoly, grain is once again being exported from Halifax. Wadi AlArab is probably the largest vessel to export grain to date. She is 70,000DWT, built by Daewoo in 1995, and is operated by the National Navigation Company of Egypt. This entry was posted in bulker on March 12, 2013 by Peter Ziobrowski.